First let your cool whip and cream cheese sit out for about 10 mins. Once they are softened whisk together in a bowl until smooth for your cheese cake batter. Next boil 1/2 cup of water, adding your box of jello mix and stirring until completely dissolved. Once it is dissolved pour into your cool whip and cream cheese mixture and mix together. Then in the same pan you boiled the jello mix in, add another 1/4 cup of water and 1 scoop of Royal Sport Ltd protein and whisk until smooth. 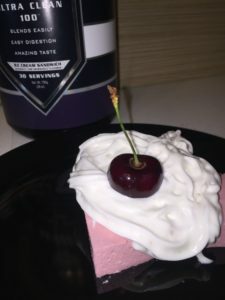 Then add your protein mixture to your cheese cake batter and some stevia if you want it a little sweeter. Finally just pour the batter into a greased pan and pop in the fridge to cool for about two hours or until completely firm. 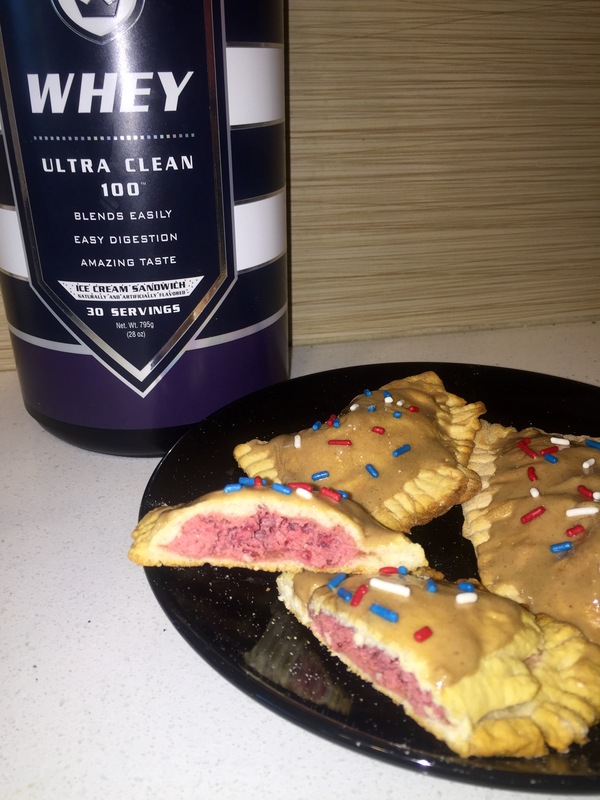 These Poptarts will blow your mind!!! First preheat your oven to 350 degrees. Then sprinkle some coconut flour on your cutting board and roll out two crescent rolls as big as you can. Now rolling out the dough is the hardest part so be patient, it may take a couple tries. Then in a bowl mix two tbs of sugar free jelly with 1/2 a scoop of your Royal sport ultra clean whey protein. If you like them a little sweeter you can add some stevia as well. Once it’s all mixed together put half of the mixture on the dough of each poptart leaving enough room to fold the dough over the top. Once you’ve folded the dough over you will take a fork and pinch down all the edges of the poptart so the filling doesn’t melt out when you bake it. Then you are going to bake them until golden brown. Keep on eye on them because they bake pretty fast and the time is dependent on how thin you rolled your dough. While they are baking it’s time to make the frosting. In a bowl you are going to take your other half scoop of protein and mix it with a little walden farms pancake syrup. Start with a tiny bit and add in more as you go, you want to make it a frosting consistency. Once your poptarts are finished baking you will let frost them, top with sprinkles, and ENJOY! !